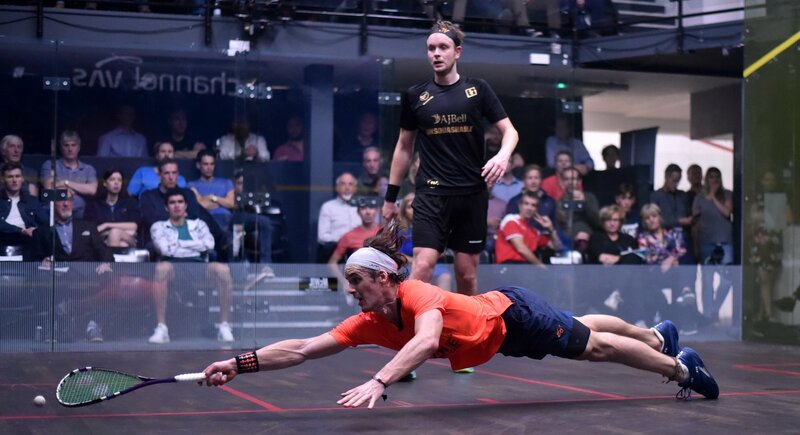 World No.33 Joel Makin earned the biggest victory of his career to date after he claimed a dramatic win over World No.1 Mohamed ElShorbagy in Weybridge to send the defending champion out of the Channel VAS Championships at St George’s Hill. 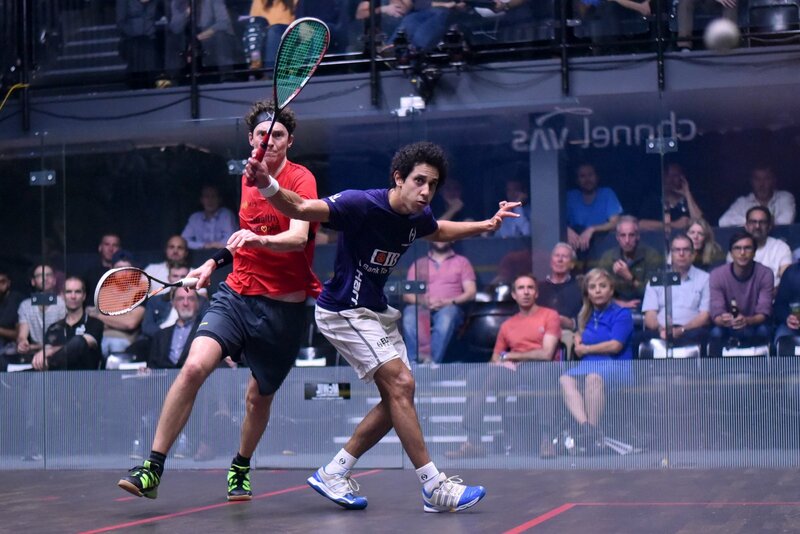 After conceding the opener, ElShorbagy showed more of his usual aggression as he came back from 9-4 down in the second to force a tiebreak, but it spilled over as he received a conduct stroke against him after a disagreement with a refereeing decision, which handed the game to Makin. That moment proved pivotal as Makin doubled his lead and he fought back from three game balls down in the third to complete the win by a 12-10, 13-11, 12-10 scoreline. “It’s massive [to beat ElShorbagy],” said Makin. “I had a lot of belief and I knew exactly what I needed to do. I really had to be disciplined and I didn’t think about his form, just focused on the process. Makin’s reward for his shock victory is a quarter-final meeting with Peru’s Diego Elias after the World No.13 got the better of 2015 runner-up Daryl Selby, winning 11-6, 11-5, 11-5 in 40 minutes. “I’m very happy to be here again, I haven’t started the season that well, but now I’m feeling better on court,” Elias said. World No.8 Paul Coll booked his place in the quarter-finals courtesy of a 3-0 victory over former World No.1 James Willstrop, with the New Zealander avenging his Commonwealth Games defeat to the Englishman in the process. Coll, who shot to prominence by winning this tournament in 2016, went down 3-0 to Willstrop in the final of the Commonwealth Games singles event in April. But he turned the tide this time around as he came from behind to win a crucial second-game tie-break, before dominating the third to close out the win in straight games. “[The Commonwealth Games] is always in my mind, it’s one of my ultimate goals in squash, but I’m trying to block that out for another four years and trying not to dwell on that too much because it can release some negative emotions,” said U.S. Open semi-finalist Coll. 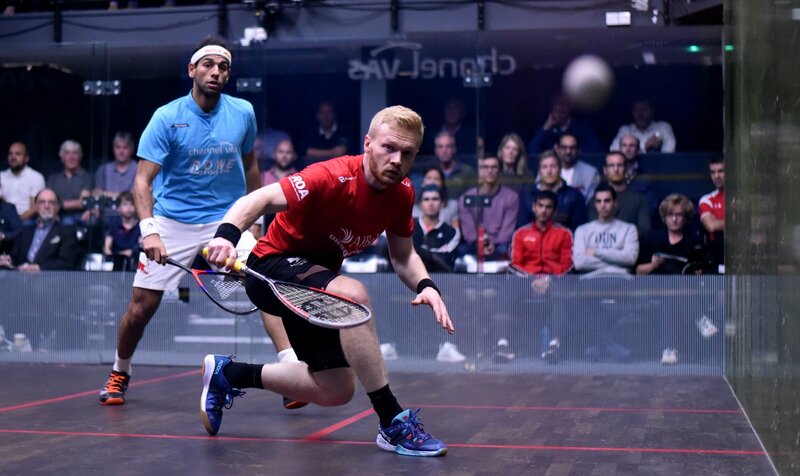 Coll will play World No.4 Tarek Momen next in a repeat of the 2016 final, with Momen edging Australia’s Cameron Pilley in a tight three-game battle. 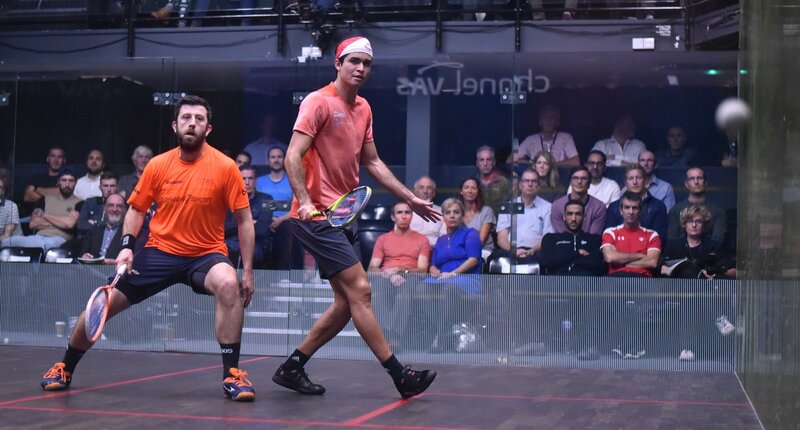 The Egyptian had a 9-3 lead on their head-to-head record coming into the match and, while he was able to extend that lead, he was made to work hard for it by the World No.23, who had only just made his return to action after going through ankle surgery over the summer. “I must say that I’m very glad to be through, it was one of those where you have to be thankful that you got through because a lot of things were not working,” Momen said afterwards. PSA Men’s 2018 Channel VAS Championships at St George’s Hill. Great effort from Makin, although it’s a shame that the video at that venue doesn’t allow a traditional view of the whole court. A couple of video ref decisions favoured Makin – they weren’t 50:50 calls, but more like 60:40 or 65:35, so Shorbagy was unlucky, but there was nothing outrageous. On at least a couple of the close calls, Shorbagy’s movement back to the T after a loose shot could be considered blocking by a ref trying to enforce access to the ball. A well-deserved conduct stroke for Shorbagy, who, bizarrely, went on to claim that the rules don’t allow the ref to give him a conduct stroke without prior warning. For the decision on the last point, he said something like “I already know what your decision is going to be, based on the earlier one” – apparently accusing the video ref of consistency. He also asked “should I just leave?”, and received an answer to that question too. Sounds like you want to pasteurize the sport and take the personalities out of it. You’d probably enjoy current American baseball then. “What a bunch of crap. Yeah, right, buddy, the result was “stolen”. “You know what? You don’t want to lose a point – then don’t commit a known conduct violation. “You want players to be able to run roughshod over the refs because it’s ENTERTAINING. However, tennis continues to be entertaining, and they’ve curtailed the buffoonery. “it’s common in all sports for fans to bring the officiating into it, when a match or game didn’t go the way they wanted. I knew that would get a rise out of you there, Bud! A journeyman knocks off the World No 1, and all you’re concerned with is a player getting chippy after a tough no-stroke reversal at game ball. You obviously watched the match – how about a little analysis. Is the other guy suddenly a real contender who can beat Top 20 players?